Finding assignments hard to complete? Need help with organisation or study skills? 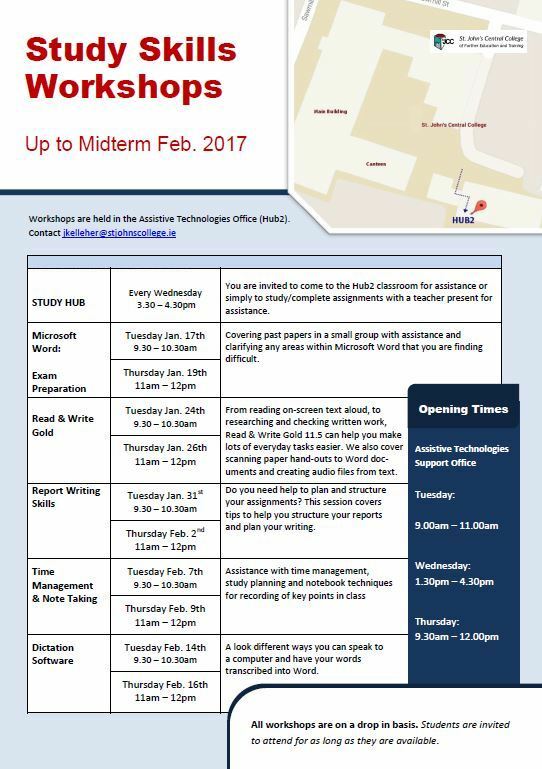 Come along to any of the Study Skills workshops that are held every week in the Hub2 classroom. Contact jkelleher@stjohnscollege.ie for further information.